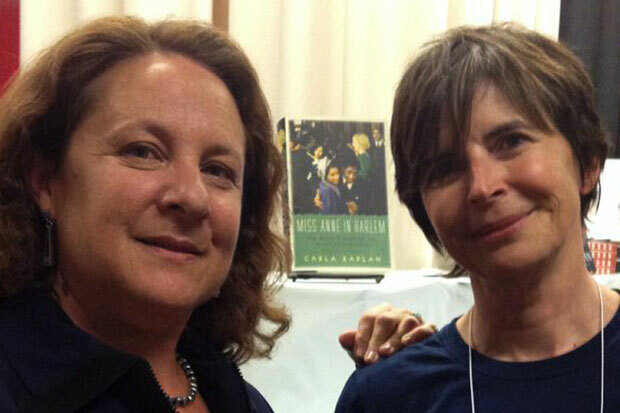 Nadege Conger, Founder of SabbaticalHomes.com, serendipitously meets Author Carla Kaplan at the MLA ’14 Convention in Chicago. Devoted to helping scholars travel, she is thrilled to learn about our members’ success. Only a day after the “Chibera” polar freeze began to relent its winter winds in Chicago, we flew in for the Modern Language Association’s (MLA) annual conference. We enjoy meeting MLA scholars and hearing about their experiences with SabbaticalHomes.com or, if they haven’t heard of us yet, introducing them to our services. Often we meet academics working in literature, language, and writing—from professors to PhD students. Many of these scholars travel on a shoestring. It’s gratifying for me to see how SabbaticalHomes.com enables them to research and write from a home anywhere in the world. 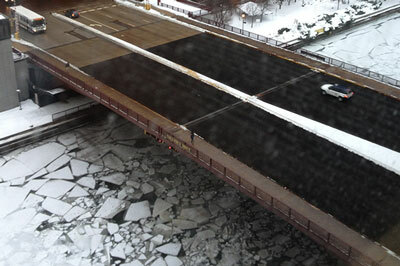 Chicago’s polar freeze as seen from the MLA ’14 conference building. Our interactions at MLA are always a joy, but one outstanding experience from the Chicago conference superseded the ordinary. It felt fictional. Carla Kaplan was signing her latest book Miss Anne in Harlem, The White Women of the Black Renaissance at the Harper Collins booth. My colleague, Bonnie, stopped by to meet the author and pick up a copy of her notable book. Kaplan immediately recognized the SabbaticalHomes.com logo on Bonnie’s shirt and exclaimed her excitement. Kaplan said she was a member of the community and explained how she had connected with interesting people and found wonderful places through the site over the years. When my colleague returned to our booth and told me about this, I quickly made my way over to meet Kaplan! Parts of Kaplan’s book ‘Miss Anne in Harlem’ were written in a Sabbatical Home! When I arrived, Kaplan told me that part of her book had been written in several of the homes she found through SabbaticalHomes.com. I know that many authors and artists are members, but I have never stumbled upon one so serendipitously. I had no idea that Carla Kaplan was a member of the site since 2006, that she had enjoyed great success using our service and that she was the author of one of the books I had already selected for my book club. I was so happy to meet a celebrated author whose many desks she had been writing on were provided by our service. 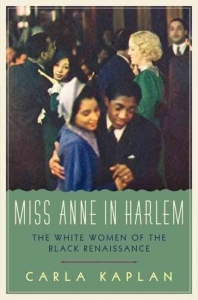 I can’t wait to read Miss Anne in Harlem, a “remarkable work of historical recovery” according to Martha A. Sandweiss*, a professor of history at Princeton University and author of Passing Strange: A Gilded Age Tale of Love and Deception Across the Color Line. Interestingly enough, Sandweiss is also a member, since 2009. Perhaps I will have the great fortune to meet her at the next MLA conference? Founder on the Move is a series written by Nadege Conger, Founder of SabbaticalHomes.com. She created the site in 2000 to help academics worldwide pursue their research by providing a home exchange and rental website. Connect with Nadege on Facebook.